Nestled in the heart of the busy London Borough of the City of Westminster, Hyde Park offers a getaway from the hard urban backdrop of busy London to provide a green escape that locals and visitors alike can enjoy. Covering 350 acres of prime London real estate, the park is a haven of greenery in one of the most built-up cities in the world. It offers the chance for people to get back to nature and enjoy a wide array of outdoor pursuits, with plenty to see and do for everyone. One of eight royal parks in the English capital, Hyde Park was acquired from the monks of Westminster Abbey in 1536 by Henry VIII as a private hunting ground. It was not until the reign of Charles I that the nature of the park was changed completely, when in 1637 it was opened to the general public. 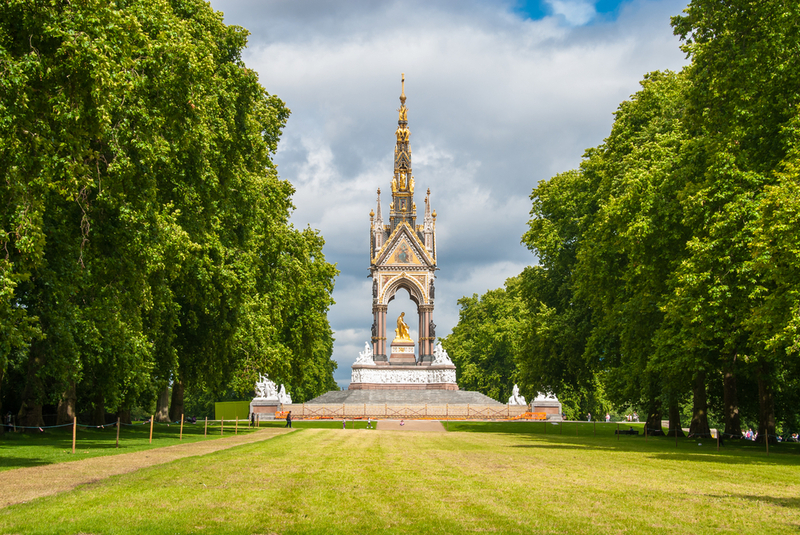 Today, visitors to Hyde Park can enjoy a wealth of attractions, ranging from the simple enjoyment of relaxing in the wide green spaces that the park has to offer, to visiting some of the capital’s most popular landmarks. One such attraction is the Memorial to Diana, Princess of Wales, which can be found in the western corner of Hyde Park and features a memorial fountain that was opened by Her Majesty Queen Elizabeth II in 2004, as well as a children’s playground and a large, open air space for visitors to simply sit down and contemplate their surroundings. Other attractions include the Serpentine Gallery and the famed Speakers’ Corner. Two separate Serpentine Galleries can now be found in the park, with each dedicated to showcasing the best in British contemporary architecture, art and design. Meanwhile, Speakers’ Corner is an attraction as old as the park itself and has become a renowned attraction that has seen visitors from around the world flock to the north-west corner of Hyde Park for countless years, and likely for many more. Located just a stone’s throw from the impressive Marble Arch, Speakers’ Corner provides a voice for the masses and has been a popular meeting spot for open air discussion since the late 1800s. In 1872, an act of parliament set aside this part of Hyde Park for public speaking and it is an article of legislation that remains fully in force to this day. Visitors can head along and listen to all manner of enthusiasts expounding their views, with topics varying wildly depending upon the time of day and those present. It is a public forum for freedom of speech in the truest sense. Other memorials, fountains and statues that are dotted around the park include the 7th July memorial – a permanent reminder of the events of the London bombings on July 7th 2005 – as well as the Holocaust Memorial, the joy of Life Fountain, the Statue to Achilles, the Hudson Memorial Bird Sanctuary, the Cavalry Memorial, the Pan Statue and many more. Visitors hoping to simply relax in the wide open spaces of Hyde Park are also more than welcome to do so, with a wide variety of recreational activities also available, including swimming, boating, cycling, tennis and horse riding. Running through the centre of the park and bending off into its south-east corner, the Serpentine Lake is a man-made body of water that adds a spectacular grandiosity to the park as a whole. Offering an array of attractions for visitors to enjoy, the lake is one of the standout features of Hyde Park and even allows boating for those eager to take to the calm waters. Members of the Serpentine Swimming Club are permitted by the Royal Parks authority to swim in the waters of the lake each morning before 9.30am, while regular races take place each weekend on Saturday mornings. Members of the public are welcome to head along to the Lansbury Lido – the home of the Serpentine Swimming Club – to show their support. They can also enjoy a seat at one of the many lake-side cafes in the area during their visit. And for visitors keen to enjoy a unique means of transport during their time in London, the Serpentine Lake’s Solarshuttle could be just the thing they are looking for. Running only during the summer months, the Solarshuttle is a solar-powered boat capable of transporting passengers across the lake. It runs between the north and south banks of the Serpentine at regular times throughout the day and is capable of ferrying up to 42 passengers in a single trip. Heading onboard, guests can simply sit back and watch the world float by, while the silent vessel runs its course. It is not just the many natural wonders and fixed attractions that draw millions of visitors to Hyde Park every year though, as the wide green spaces provide the perfect venue for an array of annual events. Barclaycard presents British Summer Time Hyde Park is a festival that certainly fits the bill of an impressive annual attraction that draws the crowds to this busy London park. With live music, comedy acts, film screenings and a host of facilities including fresh food stalls, cafes, bars and themed pubs, Barclaycard presents British Summer Time Hyde Park is one of the largest and most popular open air music events in the whole of London and sees performances each year by some of the biggest names from across the musical spectrum. Visitors planning a trip to Hyde Park can also enjoy the spectacle of a number of Royal Gun Salutes – each taking place on selected dates throughout the year to commemorate important royal occasions. Accession Day, the Queen’s birthday, Coronation Day, the Duke of Edinburgh’s birthday, the Queen’s official birthday (yes, she has two birthdays), Remembrance Sunday and the state opening of parliament are just some of the special events that see Royal Gun Salutes being held. 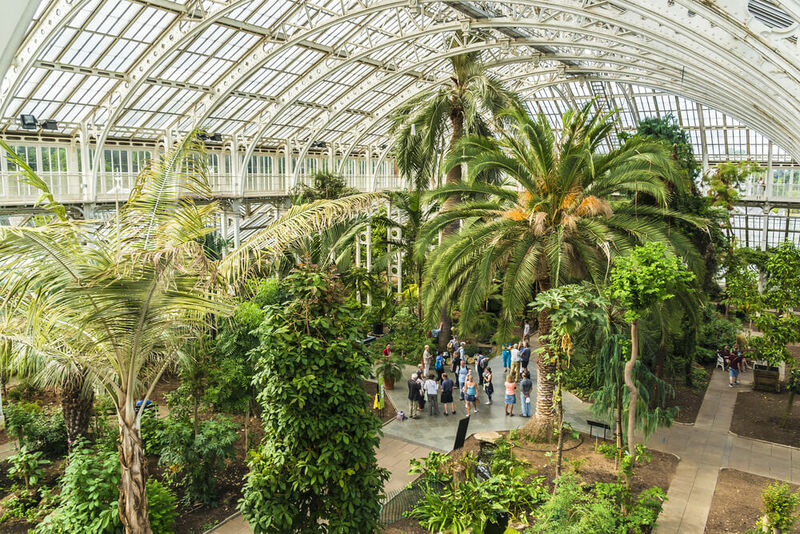 Located in the heart of one of the most popular boroughs of the English capital, Hyde Park can be reached in several ways, with local public transport options second-to-none. Meanwhile, local bus services also run throughout both the day and night, while visitors planning to drive (perhaps not the best option due to the high volumes of traffic that are typically witnessed in the area) also have a number of parking options, although spaces are generally limited. Finally, it is not just the park itself that draws crowds of millions of visitors to this busy part of London every year, as the local area is also chock-full of possible attractions that could keep travellers coming back time and again. Other nearby attractions that visitors will not want to miss include Apsley House, Kensington Gardens, the Science Museum, the Royal Albert Hall, Marble Arch, the Wallace Collection, Kensington Palace, the Notting Hill Arts Club, Buckingham Palace, the Buckingham Palace Gardens, Green Park, the Natural History Museum, Queen’s Gate Gardens and many more. 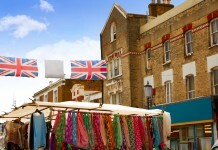 Share the post "Hyde Park: A beautiful place to visit"